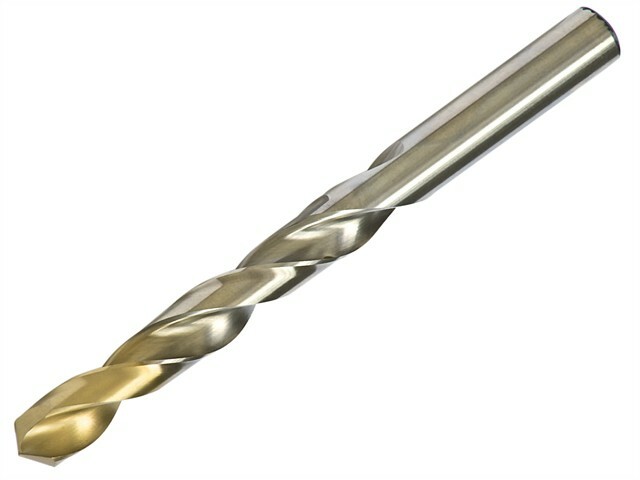 Each Dormer A002 HSS-TiN Coated Jobber Drill in pouch pack has a pointed web and fluted tip design. The point design allows for efficient cutting, with a reduced axial force and allows for accurate centring. The web design provides optimised strength, rigidity and improves the feed of the drilling bit. The flutes allows for efficient chip form and evacuation.